A while ago, I read something about the concept of 'setting as character'. I didn’t understand it until I read ‘Iditarod’ by Andre Jute. 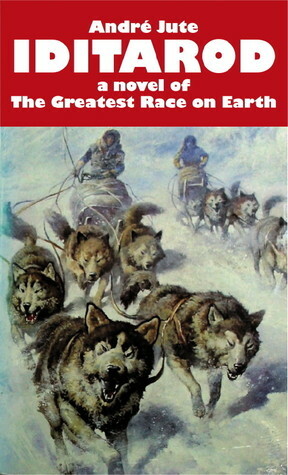 The book has two main characters, Rhodes and James, both skilled athletes, both determined to better the other in the Iditarod, an annual sled race across Alaska. At first, I presumed that James was the antagonist. With his fame and wealth and slightly arrogant approach, he was the obvious candidate to be the baddy of the piece. It soon became obvious, though, that the real antagonist is the place, Alaska itself. Both Rhodes and James, while competing with each other, face this wild, desolate landscape alone and it throws everything it has at them to stop them succeeding. As in all good books, though, the antagonist is a three-dimensional character with enough goodness about it to draw the reader in. Even when Rhodes and James were fighting the worst Alaska could muster, I was in awe of the spectacular beauty of the place so clearly described. It was not hard to understand why people would pit themselves against the place in such a dangerous way. This is a determined adversary that keeps the reader on the edge of their seat. Hardly a page goes by without the potential for disaster being raised. At times, I must admit, I was a little annoyed at Jute’s use of chapters written from the point of view of a pack of wolves. It took me some time to understand the significance of these chapters and-- as he tended to put them in just as one or other of the characters was in dire straits-- I became impatient with them for a while. In truth though, they gave chance for the reader to have a rest from the fast paced action* whilst they quietly developed the setting as a character. By the end of the story, I felt sympathy for those wolves (who epitomised Alaska) despite their actions. This is a book that has obviously been the subject of detailed research. Everything, from the history of the Iditarod to the detail of the landscape along the way, is meticulously described. It’s an old-fashioned, beautifully written adventure story that won’t disappoint any modern reader who enjoys fast-paced action. I highly recommend it. *If I have any criticism of the story, it would be that perhaps sometimes the action scenes were so fast that I couldn’t quite picture what was happening. However, that could have been more to do with the fact that I know nothing about sleds, snow, ice etc., rather than the writing itself.